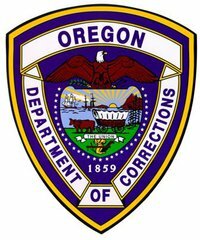 The mother of a developmentally disabled prison inmate who died in a segregation cell at the Oregon State Penitentiary after injecting an “undetermined drug or toxin” has filed a federal civil rights lawsuit against the state. Richard Gifford, 22, received “no meaningful treatment” at the Salem prison, and his mental condition “rapidly deteriorated” while confined to a disciplinary segregation cell for more than 23 hours a day, according to the suit. Gifford died May 5, 2010 — 10 days before he was scheduled to be released from prison. The inmate’s death was not reported to the press by the state Department of Corrections. This story, based on the recently filed lawsuit and a cursory state police incident report, is the first media account of what happened. The lawsuit, filed in U.S. District Court in Eugene, claims that prison mental health workers failed to properly treat Gifford and ignored his warnings that he was suicidal. The suit also alleges that corrections officers in the Disciplinary Segregation Unit poorly supervised Gifford. DSU holds inmates who have violated prison rules. Inmates call it “the hole” because of the extreme isolation. Corrections Department rules require that every inmate in disciplinary segregation be checked at least once every 30 minutes, according to the suit. Citing prison logs as evidence, it says corrections officers frequently failed to perform mandated checks. The suit asserts that Gifford’s death was “a result of the deliberate indifference” of prison employees. On Thursday, Jennifer Black, a Corrections Department spokeswoman, said the agency does not comment on pending litigation. She could not immediately explain why the agency did not report Gifford’s death to the press. Prison employees named in the suit are: psychologist Charlotte Jeskey; mental health worker Christin Farrell; mental health worker Gabriell Gitnes and prison superintendent Jeff Premo. The plaintiff is Deborah Gifford, of Lane County, mother of the deceased inmate. She is asking for a jury trial, with economic and non-economic damages to be determined at trial. The suit, prepared by Portland lawyer Lynn Walsh, says Richard Gifford suffered from a “pervasive developmental disorder” that went untreated at Oregon’s sole maximum-security prison. 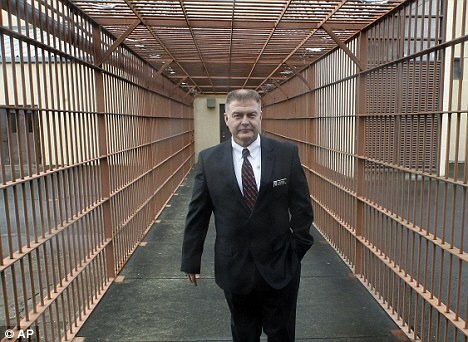 Gifford entered the state penitentiary Jan. 3, 2010, after serving a 41-month federal prison sentence for robbing a bank of $1,200 in 2006. Shortly before Gifford was transferred to the state prison system, the federal Bureau of Prisons notified the Oregon Corrections Department of his mental problems via a document known as an “In-Transit Data Form,” according to the suit. Apparently, no one at the Oregon Department of Corrections ever read the federal form, the suit says. In the mainstream prison population, Gifford was charged with 14 incidents of misconduct, resulting in his transfer to disciplinary segregation. In April 2010, less than a month before he died, Gifford reportedly flooded his cell and told corrections officers on more than one occasion that he was suicidal. 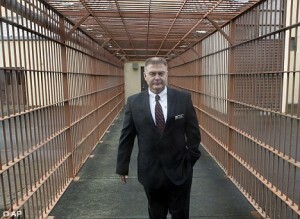 On May 5, 2010, the penitentiary notified Oregon State Police of Gifford’s death. That is in keeping with protocols that call for state police to investigate deaths that occur in state institutions. The police report also indicates that investigators attempted to determine whether inmates housed in segregation cells on either side of Gifford had used drugs. Urinalysis tests administered to the two inmates on the night of Gifford’s death came back negative, the report says. State police closed the book on the case in August 2010, submitting the report to the Marion County District Attorney’s Office for review. Our thoughts and prayers are with the family. This is exactly similar to many cases here in Arizona. Our non-profit David’s Hope is dedicated to securing mental health treatment rather than incarceration for all those living with a mental illness. We must bringing back a defense of mental illness in our courts both here in Arizona and across the country.